Although the first day of winter is over a month away, the country is already in the grips (pun intended) of Jack Frost. This reminds me of the longstanding debate and question: gloves or mittens? As a glove guru, I’ll mention the pros and cons. Hands down, mittens are warmer. Dexterity: such as zippers, or having to remove your gloves every time you need to send a text or read an email. The other con is style but the New York Times noted, in winter sports attire, the mitten has been making a “significant inroad against its venerable rival, the glove.” Link. 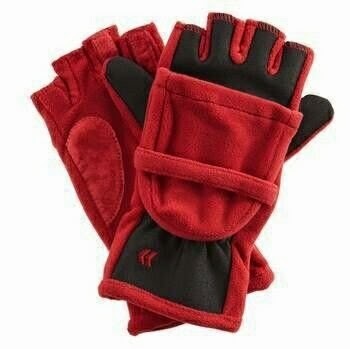 Convertible mittens: These fingerless gloves with an attached flap that turns the gloves into mittens. They are stylish. They come in many styles. They are gender friendly. Kids love them, too. The price is right as well, so they make for great gifts. Maybe GO Convertible Mittens will finally put the debate to rest. Buy some today for delivery by Thanksgiving. Why wait until the first day of winter to arrive on December 21st. It’s here now.